Illness can bring grief because it feels like we are losing parts of life. Shelly shares. “In Him was life, and that life was the light of all mankind” (John 1:4). Just the word holds hope, doesn’t it? It makes us think of green and sturdy things. New beginnings and fresh air. Dawn and continuance and good. I think that’s part of what is so difficult about walking this chronic illness journey. It doesn’t feel like life most days, does it? It makes it all too easy to look back, to long for, to feel discontent. ”Because Your love is better than life, my lips will glorify You” (Psalm 63:3). What is more attractive than green and sturdy? The mercy of our Father. What is more wonderful that new beginnings and fresh air? The hope we find in Jesus. What is greater than dawn and continuance and good? The goodness of His grace. 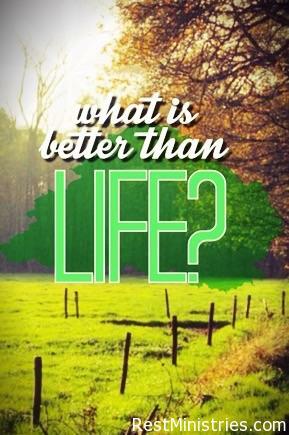 What is better than life? Your love. I have all of these things through the blood of Jesus. I already have in my possession things that are more glorious than the life for which I long. ”I know what it is to be in need, and I know what it is to have plenty. I have learned the secret of being content in any and every situation, whether well fed or hungry, whether living in plenty or in want. I can do all this through Him who gives me strength” (Philippians 4:12-13). Prayer: Father God, help me to focus much more on how rich I am in You than on the things that I lack. Thank You for my life and for Your promises that give me hope. In Jesus’ name, Amen. What do you struggle with that you can hand to the Lord today, knowing that He holds better? Filed Under: Devotionals, Hope, Joy, Reflection, What's New? 5 Responses to What is Better Than Life? What a beautiful, hope-filled perspective on these verses, Shelly. Thank you! His love is better than life! He gives so much more. 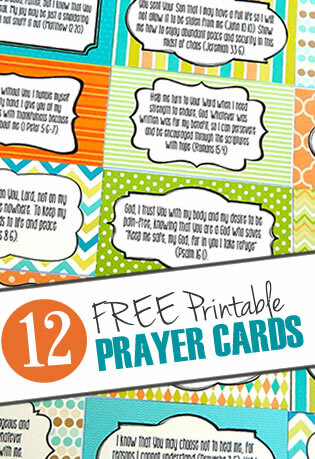 Praying the prayer right along with you. Shelly – as I pondered your life-filled words – this occurred to me. When the the center of my life is the new life God has given to me – reborn into Him – than my new perspective IS to see life as He sees it. I am new and my old views of life before are slowly being transformed. The newness is Him. The freshness is Him. The hope is Him. I know that I don’t easily go “there” all the time but it is surely a goal for which I am striving so “that the life I now live, I live in Him and all that flows out of it is real LIFE. You always do this to me, Shelly – get me to pondering aNEW!! Thank you so much for these thoughts. I REALLY needed to hear this today!